Renaud’s high-quality, high-performance, high-speed spindles are used worldwide for milling, grinding, drilling, engraving, and dressing. The spindles can be applied for new design or spindle replacement. Renaud spindles can be configured with all of the common interfaces including HSK and ISO. The product line is available in power ranging from 250w to 46kw and speeds up to 128,000 RPM which are available in standard configurations. 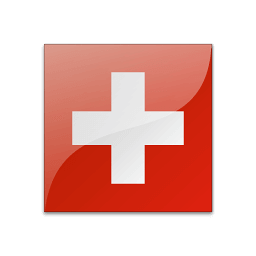 Switzerland is the cradle of mechanical engineering and synonym of the highest quality and precision. All Renaud products are developed, manufactured and assembled fully in-house. For more than 28 years, Renaud has used only the best materials and components in spindles as well as the best suppliers for hybrid ball bearings and tool holders. HFA Spindles – Motorized spindle for milling, turning, grinding or drilling. High Speed Technologies has more than 30 years of experience with high-performance, precision spindle repair, troubleshooting, design and spindle replacement. Get a quote and assistance today.